a reality at your agency. Our guide will serve as a roadmap for innovation and provide you with step-by-step instructions to deploy big data at your agency. Teach you how to bring big data to your agency. Identify which programs to select for a big data initiative. Show you what big data is and how to define it for your agency. Explore the necessary workforce skills for big data. Examine what kind of IT supports big data programs. Provide you with worksheets and activities designed to bring big data to your agency and build your big data roadmap. Share three government case studies. 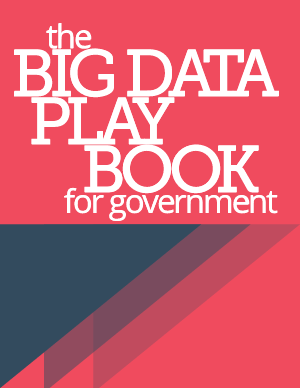 Highlight how industry can support government’s big data efforts. If you’ve felt like your agency has been sitting on the bench, now’s your chance to get in the game. After you go through our playbook, you’ll be ready to bring big data to your agency. So let’s start with the basics on what big data is and how to define it at your agency.